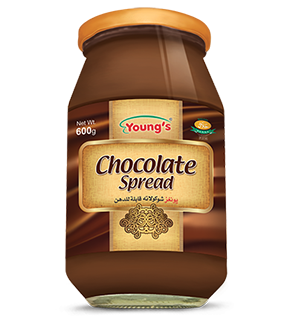 Young’s Chocolate Spread is prepared from milk, cocoa powder and other Halaal ingredients. It is used as dressing on Cakes, Cookies, Custard and Ice Cream. Spread over a slice of bread and eat delicious chocolate sandwich. 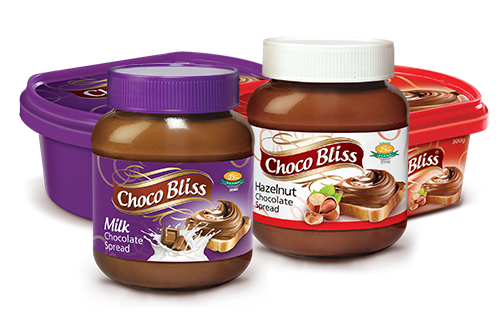 ChocoBliss is a premium quality Chocolate Spread prepared from imported quality and Halaal ingredients. It is available in two distinct flavors; Hazelnut Chocolate Spread & Milk Chocolate Spread. We believe that ChocoBliss indulgence will take the consumers in a new chocolaty world, its unique taste and top quality will make it a heart winner, both in Pakistan and abroad. 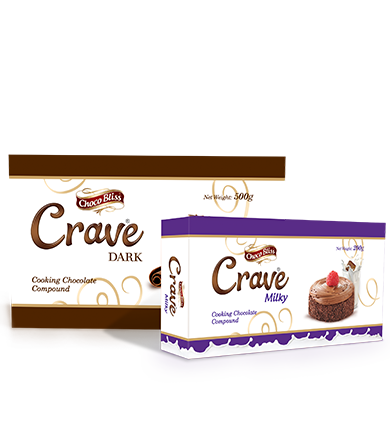 ChocoBliss Crave, a Dark & Milky touch of real temptation of chocolate desserts from the platform of Young’s (PVT) Ltd.
Crave is ideally used to prepare mouthwatering recipes of cakes, brownies, cookies, and other desserts. The perfect combination of premium ingredients followed by International standards of manufacturing in European Plant makes Crave the most preferred choice for desserts chef. 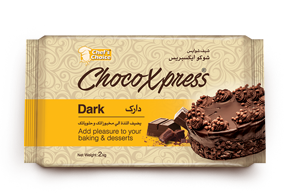 ChocoXpress is an economical cooking chocolate with an industrial usage.